Let us at giftbasketskj.com help you promote your company brand in 2019. Choose from a huge variety of gift baskets: Thank You, Get well, birthday, Sympathy, appreciation, corporate, Fruit Baskets, baskets for Secretary Day, Christmas Gift Baskets, Holiday Gift Baskets, Bosses appreciation, Administrative Professional's Day Gift Baskets, food, snacks and gourmet gift baskets to suite your gift baskets giving needs. In addition customers are encourage to include their brand marketing material to bring awareness and exposure to their business. 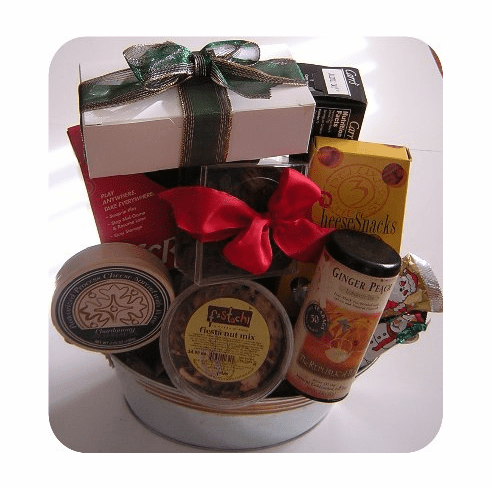 Your gift basket will be packed with a variety of gourmet food and a varieties of healthy tasty snacks. Gift Baskets including marketing material can be shipped or delivered in and around the Boston Metropolitan area. Foxboro MA. Reading MA. Hanover, Ma. Boston, MA 02117 Everett MA Franklin County. Holbrook, MA 02343, Babson Park MA 02157, Worcester, Brimfield MA. Hampden County, West Barnstable MA 02668, Rochester MA 02770 Boston Ma 02203 Suffolk County, Quincy MA 02171 Norfolk County, Boston MA 02163 Please use coupon code 50518 to get free delivery in 1-3 business days. IS DELIVERY GUARANTEED we put great effort in trying to meet the delivery date with express or overnight service if need be. However Gift Baskets KJ had no control over the carrier and delivery may take longer. Once an order is shipped we will provide you with the tracking numbers, so you will be able to track your package. Extra shipping charge may apply depending on the type of shipping method we use or the shipping method use. REFUND We will refund or exchange any gift basket items, excluding embroidery products (see embroidery information for more information) just as long as you let us know of the problem within 15 business days. RETURN POLICY please returns merchandise in its original package for a full refund or exchange within 15 day of receiving the package. CANCELLATION an order may be cancel if requests are made before order is shipped. Once an order is shipped we have no way to recall that shipment, until it reach it destination. We asked that as soon as you decide you know longer need the order you should notify us without delay.